A Literary Odyssey: The End of the Crazy...I Hope. I apologize for being gone for the last week and a half. I thought it might be a longer break, but the crazy has subsided and I think I can go back to a functioning level in the blog world. So, as for an explanation....things just got a little overwhelming. Most of my followers know the reasons why I started this blog in the first place. I have been done with school since 2008. I graduated with two bachelor's and a teaching certificate, but I have been searching for a job ever since. This whole thing started last summer when I had enough of not "being" anything. Rather than continue to sit around and wait for something good to happen, I created this whole project, and I have been in love with what I am doing ever since. That doesn't mean that I am hunky dory and happy with how things are going. Truth be told, I am in almost the same position this September as I was last September....and that is really frustrating. I was pretty down last week, and I have been kicking myself a lot. There are a lot of questions in my head. Mainly, why am I not hire-able? It has only been through some intense conversations with my mom and Matt (husband) that I am coming to realize that perhaps I am not meant to be teaching. Even though I think I want to teach and work with kids in that role, that might not be what I need to do. This has been a big realization for me, and I am slowly working towards accepting that. I am slowly getting out of my depressed little hole and accepting that there are many other things positive in my life that need my focus. I like my blogging, and it has become a huge part of my life in the last year. I love reading. I love writing. I am accepting these things and taking steps towards making it all okay. I feel I should also point out that all of this was also taking place while I was preparing for an interview. Last Monday I interviewed at a school and I feel in love with what the school was trying to accomplish. But I haven't heard anything yet. I am not sure what will happen. When I do hear, I think I will be okay with it, whatever the answer. I am coming to accept that sometimes things are out of my control. I cannot always focus on what is not going my way, and what I wish would happen. I can only accept what I can do, and what I can accomplish. Think of this as my reaffirmation of what I am doing here. Never before have a I felt such a compulsion to keep chugging away, picking up classics off the shelf and sharing how I feel about them with you all. I started this with the intentions of learning from the greats, and letting these great authors be my teachers. I think I lost sight of that for awhile and what a truly life changing experience this has become. For those of you who are new, I feel I should give you a little more info about myself. This will certainly help me as well, as I reembark on my odyssey (since I have read hardly anything the last two weeks). 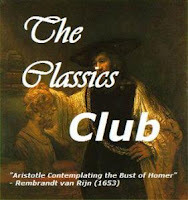 My purpose in creating this blog was to read through a list of 250 classics. My original goal was to finish in 3 years, but I think at this point it is going to take me longer than that. We shall see. I feel it is really important to point out that I post multiple posts for each book I read. For me, reading is more about the experience than the conclusion, so I write posts when the mood strikes me during my reading, and save them in Word. When it is time to post about the book, I set them up and schedule them to post during the week. This can cause confusion since I am always behind, but it is a format that works for me. You will always see a "Book Stats" post to kick off the new title, as well as a "Finished" post. In most cases, there is at least one other post about the book, but more often more. It is how I roll. Originally I wasn't going to read anything BUT classics until the list was done, but I have made a few exceptions. In July I took a vacation and read some fun fantasy novels that have been on my shelf for a bit. In August I read Mockingjay, since I KNEW I would read spoilers somewhere before I could get to it. This last week I read Beauty by Robin McKinley as a comfort read, as well as many, many poems from Whitman's Leaves of Grass. 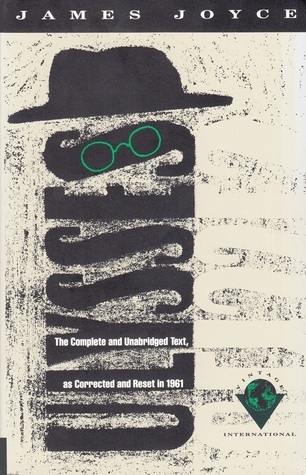 Moving forward, I am continuing on with my heavy classics reading. I have a few things on the nightstand that I am still progressing with. The first is to finish Villette by Charlotte Bronte, which is a glorious book, but I have been taking my time with it. I also need to catch up with Bleak House for Amanda's read-along. I really do hate Dickens, so this is a book that has been coming everywhere with me....but stays unopened. I also signed up for the Banned Books Challenge, which may or may not be completed (it isn't a priority). I have some posts backlogged, which you will see this week and next. Anyway, I'm back and ready to do some more reading. If you are new, please introduce yourself and leave a link to your blog so I can come visit! Speaking of Bleak House...well I'm sad to say it reaffirmed my hatred of Dickens. :( I finally got the point where I couldn't stand reading it over a long time, so I pre-drafted my posts but kept reading. It was...ugh. I do hope you end up liking it more than me, and several Dickens-haters on the project have ended up enjoying the book, so maybe that's a good sign? Take care. :) You should know, several other people mentioned you in Monday's posts as well. I kept seeing your name pop up all over the place! I saw one other post. Monday was just what I needed to get some warm fuzzies. :) Thank you again. I really, really like your blog. It's one that inspired me to devote a whole blog to the exploration of literature. I had started a blog on writing, but my passion is reading, I think, and because of you (and a few others) I decided to record my reading ventures, and make it a more solid project. I'm sorry to hear you've been down, but know that, even in your silence, you inspire people. I get the whole struggling to be at peace with life not going according to your plans thing. :( So virtual hugs to you! I'm glad the craziness died down a bit sooner than expected, and I'm curious to see your thoughts on Villette! I'm not a Jane Eyre girl, but I do enjoy giving authors a second try. Hello, I am a new follower - I found this blog over a blog-list. Honestly: Blogspot is an awesome universe! So much to see..
Hi Allie, Sorry to hear about the career struggle. I can relate -- I go through all sorts of periods of doubt and frustration at not being in my 'chosen' career... but life is always throwing new things at us. I'm glad blogging is such a positive thing for you -- it is for me too! Happy reading. My story is the direct opposite of yours. I had no intention of ever being a teacher and desired to stay home and care for my kids. However, the world had different plans for my life. Without going into details, I was hired as a teacher (with a BA in French and Political Science) to teach 6th graders and I had but two weeks to prepare. This was a small private school - but terrifying none the less. That was 9 years ago. Now I am teaching 8 different English classes (go figure - French degree = English teacher?!) at a different private school and simply cannot imagine life any other way. I say that to say this --- sometimes life's disappointments (for me leaving my home to enter a classroom) can yield its greatest satisfactions. I hope that you find peace in whatever happens in the future and in the meantime, you have created a wonderful blog that will open up the eyes of many cyber "students" to the wonderful world of literary classics. I'm so glad you're back! I've missed your posts. Just know that what ever happens was meant to happen and that the something out there for you is there-you just need to find it. Personally, I think this blog is pretty awesome, but then again, I'm you Mom :). Love you! Glad to see you back -- I've been reading off and on over here but I'm always interested in what you have to say. I love to read and I have to admit that I've never read a lot of the classics mainly because I never *had* to in school and it just doesn't interest me. I'm sorry to hear about your Career Struggles, I hope that things work out for you - I second the commenter that suggested a career in writing - have you thought about maybe looking for something in editing or copywriting or something? Anyway, do drop by my blog and say hi. I was so glad Amanda chose to blog about you! You deserved the mention. I realise how hard it can be to come to terms with things that are out of your control. I know these kinds of circumstances are always the hardest to deal with for me as well.. I think you'd be a good teacher, I have learnt a lot by your posts an am greatful of it. Welcome back! I feel your pain regarding teaching. If I had realized sooner that teaching was not in the cards for me, I could have saved myself five years of grad school and an almost completely new major, but life is a journey. Sometimes, the going is easy, yet sometimes, the path we think we want to take is not the path that we end up following. No matter what happens, staying true to yourself, and discovering who you are, is what remains important. Good luck with your journey! I can't wait to hear more of what happens. My best on your journey! You will find the right path. I too hope everything falls into place. I found your blog just a few days before Amanda's beautiful post. I'm looking forward to your future reads! Jillian: Congrats on starting your blog and your journey! I love when other bloggers also take on the classics. It makes me feel a little less lonely. :) I will definitely be stopping by. Eva: Thank you. I haven't read Jane Eyre (I know! ), but I am really enjoying Villette. It is a little dark and sad, but I really like it. I find a lot of similarities between myself and Lucy Snowe. Mr. Lonely: Thank you. I will be sure to stop by! Marieke: Thank you! Sometimes I find it hard to believe that I have been at this for a year, but I have loved every moment of it! Molly: Thank you for stopping in and following! I love getting new readers. I'm starting to think that teaching might not be where I am meant to end up, so I am looking at some other options. I hope something will pan out soon. SocrMom78: Yes, it is hard not to get discouraged. I still have my job at the parks, but it is not a "Real" job and more pay/benefits would be nice. I have thought about copywriting, and I have been looking at some opportunities here. Maybe that will be a better fit. SarahBeth: Thank you for the advice. I am looking into some writing options, as well as continuing work on my own writing. Maybe that is my true calling. Iris: Awww, thanks! I saw quite a few posts about you as well, which were well-deserved! Cariitoo: Thanks! I really do miss teaching and working with kids. I have a lot of great memories from teaching and wish I could add more. Michelle: Thank you for the great advice! That is something I have been thinking long and hard about. I am considering going back to school, but I have a couple things to take care of first. Andi: Thank you for following! I will be sure to return the visit. Back when I started this, I was under the impression that I was not as well-read as I should be. I have been surprised by the number of people who have stopped by and told me that they have never read this many classics. Nina: Thanks. Good luck on teaching! I love it as a profession and I hope you will too! LifetimeReader: Thank you for coming by. :) I have some fun things in the works. Heather: Thank you. :) I hope so too! I can relate to the whole life/job thing (I started blogging for many the same reasons, too!). All of my friends have had "real" jobs for at least 6 years. I went to grad school after getting my BA in 2005, and I have yet to see a full time job since getting my MA in 2007. It's depressing. Anyway, I'm also a new reader. Love your blog! I'm a new followers after Amanda's post and I just thought I'd stop by and say hey. Your job situation sounds like it's been very stressful - if you don't mind me asking do you have any areas that you're going to explore if it turns out teaching is not going to open its doors to you? I got laid off last month, and it may sound silly, but I just read Bitter is the New Black and it was quite reassuring. No one applied for more jobs than Jen, she's in a much bigger city than me and much more qualified, so if she had trouble, it's no wonder we are too. Commisseration is a nice thing. Plus, she makes me seem so incredibly sane, even on days when frustration makes me want to go bat-sh*t crazy! Ooh, and funny! Alexandra: Awww, thanks! I am trying to be optimistic about it all, but sometimes it is hard to pretend that everything is okay when it isn't. But I have some ideas in mind for things I can do, so hopefully things will turn around. Melissa: Thank you and welcome! My mom likes to tell me that I am not the only one in this boat, and while I know that it is true, it still doesn't make me feel 100% better. I know that somewhere out there is the job for me, I just haven't found it yet. Jodie: Thanks for stopping in! Yes, I am looking at some editing and writing jobs, but Michigan really isn't a prime stop for that. But, I am looking and I have found a few things worth applying for. I'm also considering going back to school, and working more towards my own writing goals, but I'm not 100% sure of anything yet. Carin: Lol. Yeah, it is hard to think that there are many, many people in the same boat, or worse off! Sometimes I need to put it in perspective and be grateful for the things I do have.